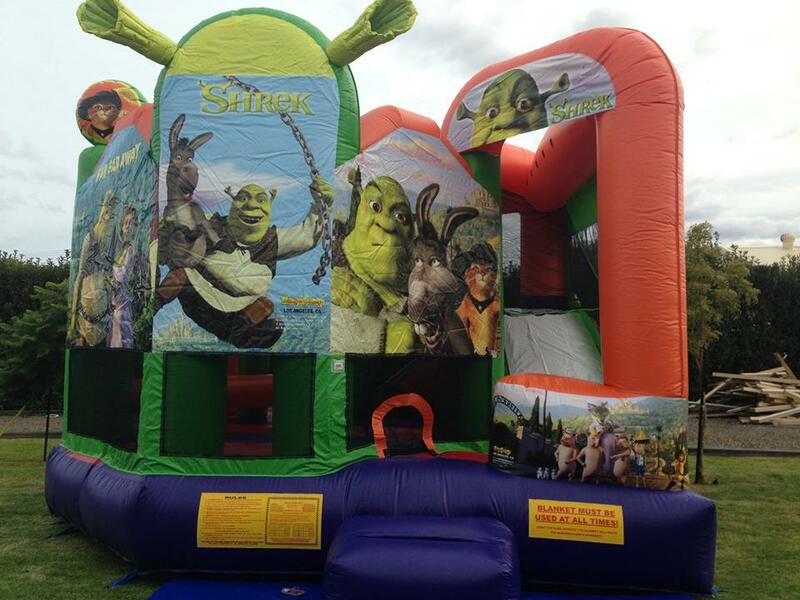 Join the adventure of everyone’s favourite big green orge, Shrek! 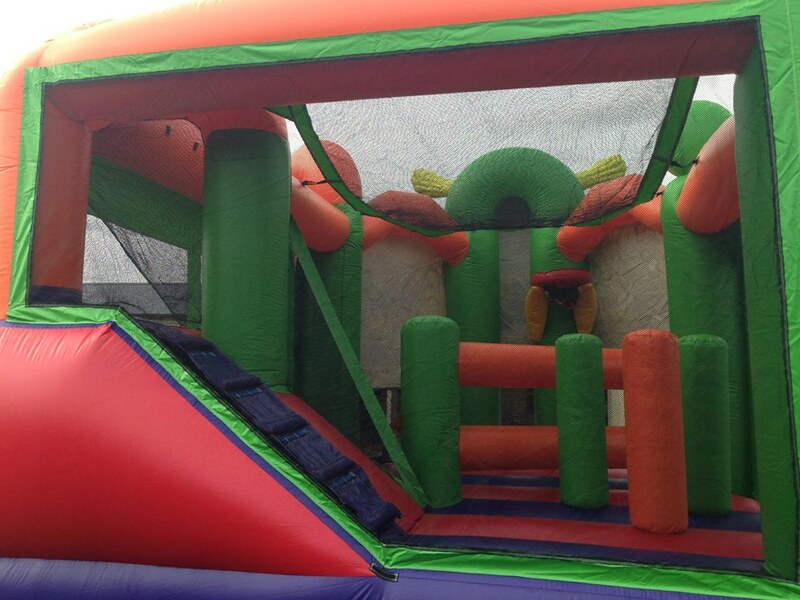 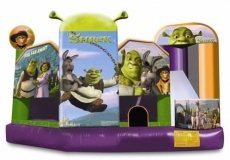 Join Shrek, Donkey, and Princess Fiona on the wonderful Shrek 5 in 1 Jumping Castle. 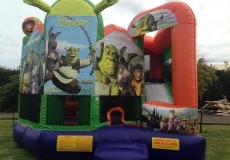 Tag along with Shrek on his adventure and save the fairytale creatures for birthdays, community days, or corporate events – what a fantastic way to celebrate the day! 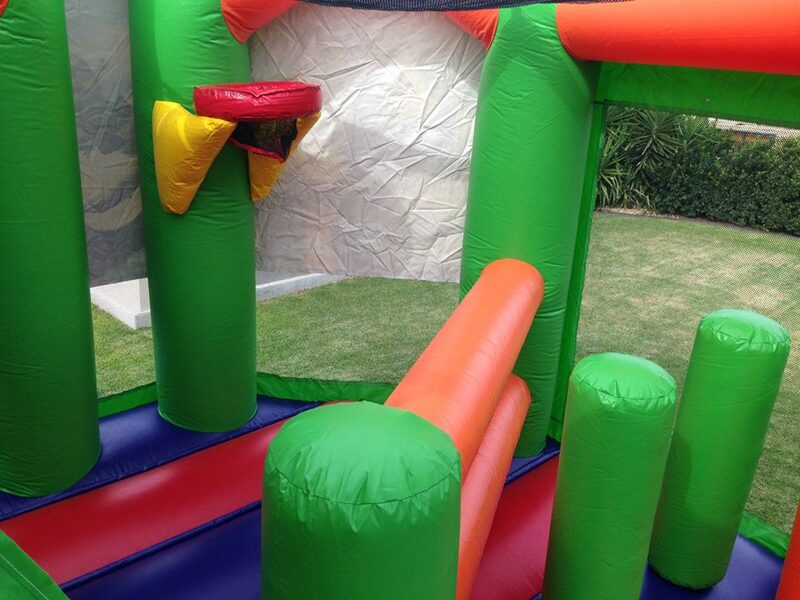 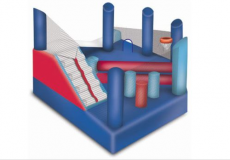 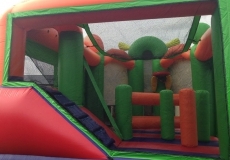 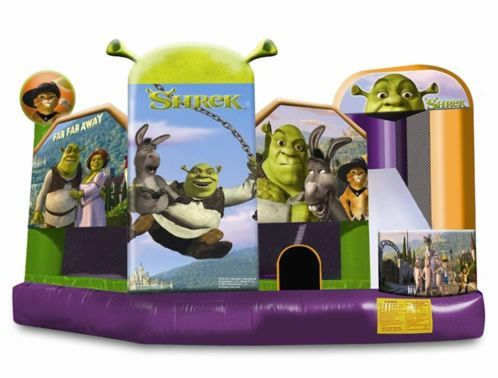 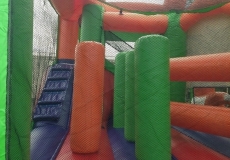 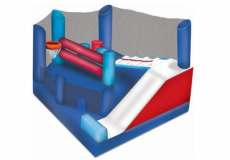 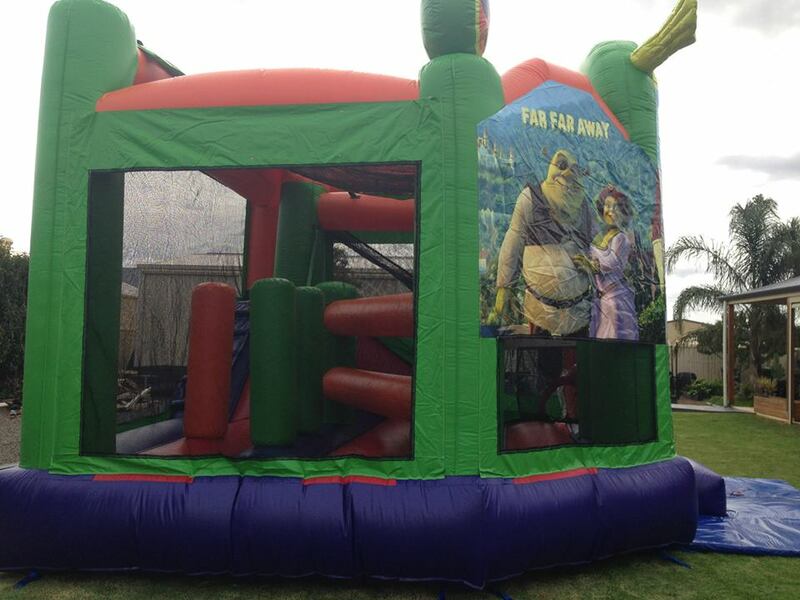 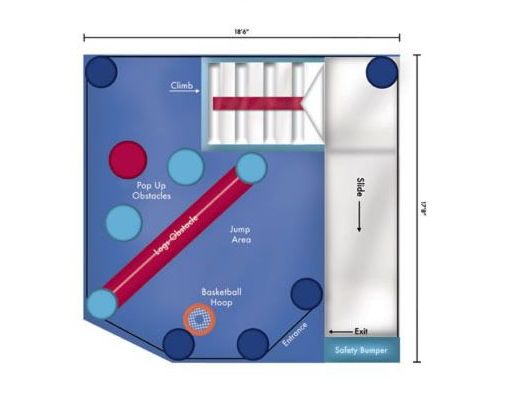 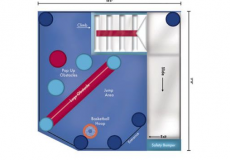 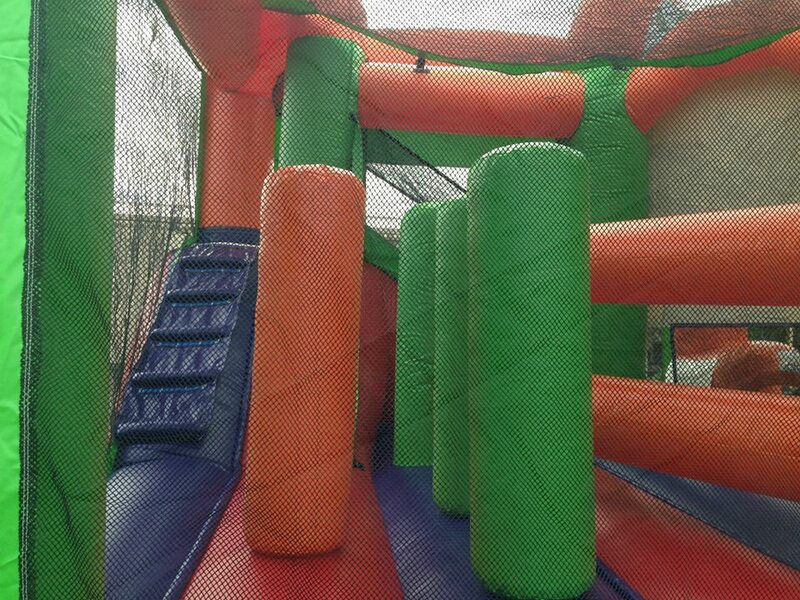 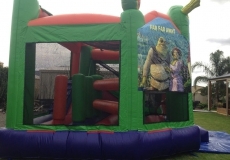 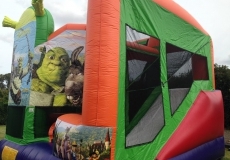 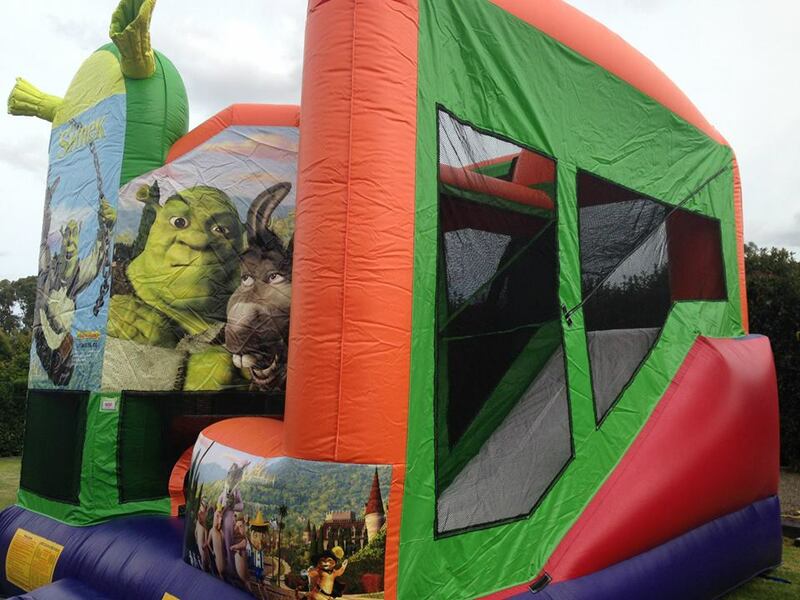 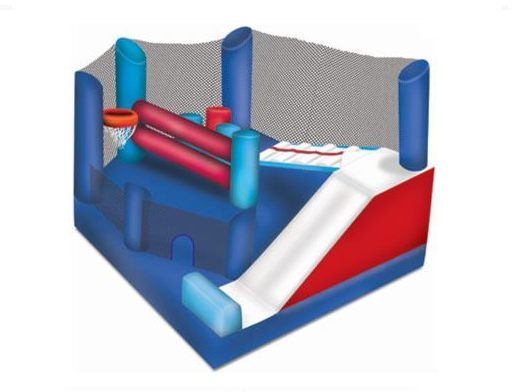 The Shrek 5 in 1 Jumping Castle has a large Jumping Section, a basketball hoop, barriers to climb through, three pop up punching bags, stairs and a super slide.